Brenda Brooks voiced Mother Father Deaf which airs on RTE 1 at 22.15 hrs on the 14th March. Brenda was born in Dublin, TV and Film credits include, Nurse Price in Broer for Fobic Films. Nuala in The Wake (TG4). Jacinta’s Mother in Citizen Charlie (Element Pictures & RTE). Ms Collins in Shine On (Play Next Door/ RTE). Nurse Jenkins in George Gently (BBC). Olga in Fair City (RTE) and Aisling in Different Dreams (RTE). 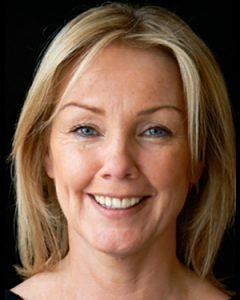 Brenda’s theatre career covers a broad range of roles including a showcase of The Contraceptive Train (Bill Whelan / Rough Magic), creating the role of Molly in the musical The Ha’penny Bridge (Cork Opera House) and Bridget Foley in The Wireman (Gaiety Theatre). Other roles include The Snow Queen (Lyric Theatre), Scarlett in Red (Lyric Theatre), Muirne in McCool XXL (Lyric Theatre & Touring Company), and The Baroness in The Sound of Music (Cork Opera House). Brenda also Co-Produced The June Rodgers Show. She has also toured Europe with Riverdance and Magical Rhythms of Ireland. 42nd Street Dorothy Brock Pat McElwain Gaiety Theatre Dublin. Drama – Ann Kavanagh, Music: Leinster School of Music – Professor Paul Deegan, Katherine Smith.